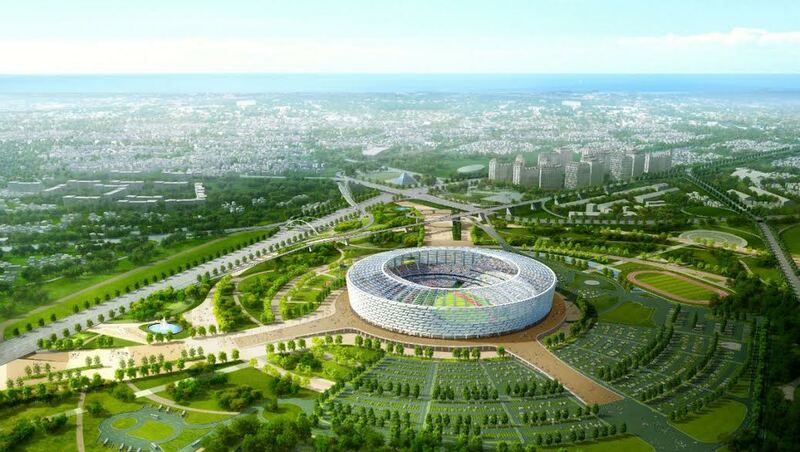 Azerbaijan will host the first ever European Olympic Games in June 2015. The NGO Human Rights Watch has accused the country of organising the event to improve its international reputation while reinforcing its authoritarian and repressive policies. François Holland left Armenia on the evening of Friday 23 April to travel to Baku, the capital of Azerbaijan. The following day he met with the President Ilham Aliyev. 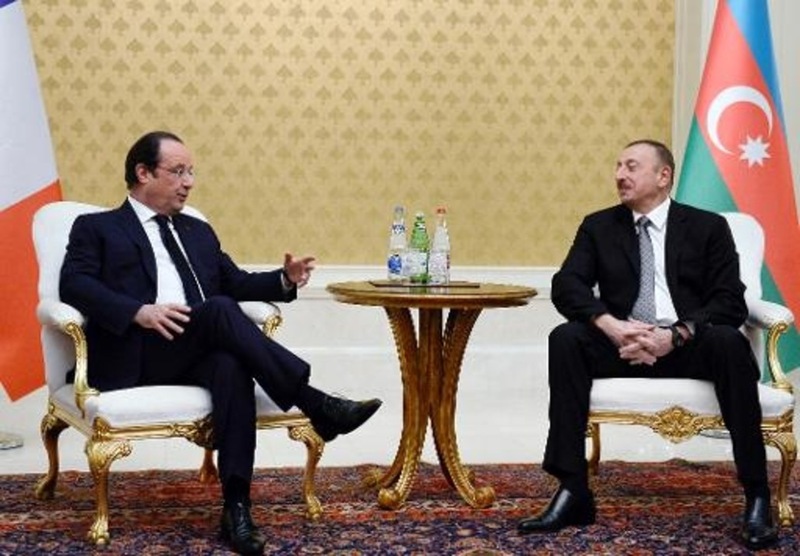 While opponents are criticising Aliyev for stepping up his authoritarian regime in the run up to the Games, human rights activists were waiting to catch out the French President on this issue. We look at the Games and the surrounding human rights issues by putting ten questions to Jean-Marie Fardeau, Director of the French branch of Human Rights Watch. 1. 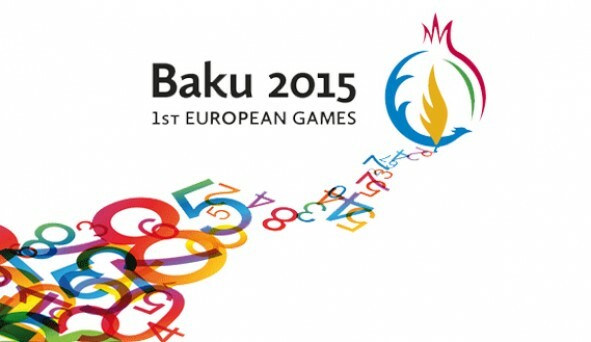 What are the European Games? The first European Olympic Games, which unite the 50 European nation members of the Olympic movement. More than 6,000 athletes will take part in the two-week competition, in events such as swimming, athletics, archery and judo. Baku, the capital of Azerbaijan which will host the games, is identified on the map by a red marker (click to expand the image). 2. What are you condemning? The human rights situation in Azerbaijan is dire. We want to use the spotlight on Azerbaijan for the Games to demand the freedom of all the political prisoners before the Games take place. We have identified at least 20 people. If they are not freed, we are asking all European officials to boycott the opening ceremony in Baku. 3. Can you tell us a bit more about the country’s current situation? In Azerbaijan today, the main opponents of the regime and human rights activists are in prison. 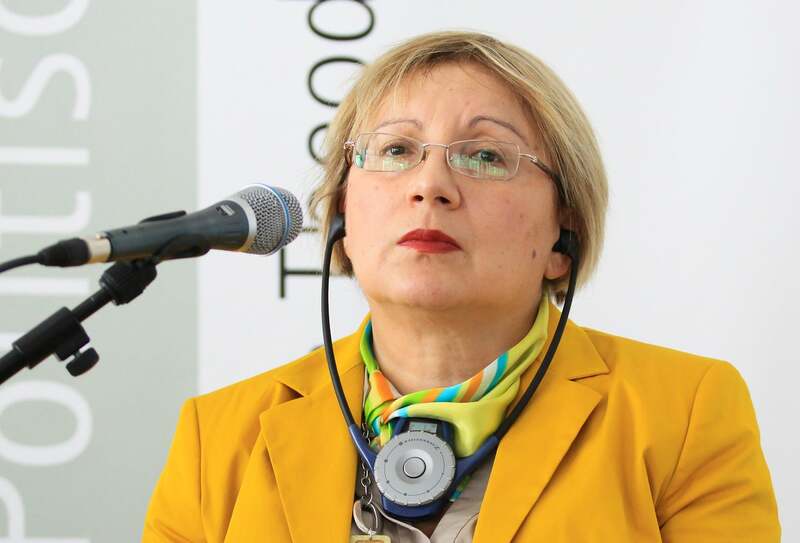 The most symbolic of them is Leyla Yunus, the president of the Institute for Liberty and Democracy, an NGO which promotes human rights in Azerbaijan. She was awarded the Legion of Honour by the French government in July 2013, she met with Mr Hollande and Mr Fabius in May 2014, and was imprisoned in July 2014 (after denouncing the situation in Azerbaijan in the run up to the games. She has also written to François Hollande since her imprisonment, Ed. Note). She is still there. These people have been mistreated, sometimes tortured, and they are not allowed a fair trial. The press is controlled, the right of association attacked: that is today’s Azerbaijan. This is an extremely authoritarian and tyrannical regime, which wants to organise big events to have an excellent international image, regardless of its domestic policies. The President, Mr Aliyev, has been in government for 26 years (he succeeded the presidency of his father in 2003, who was president and a major political player for more than 30 years, Ed. Note) and he runs the country with an iron fist with his followers. His wife, Mrs Alieyva, is in charge of organising the Baku European Games. 4. Who is behind these Games? The Games are organised by the European Olympic Committee, the European branch of the International Olympic Committee, the IOC. I don’t know if this committee is responsible for choosing the location, or if Azerbaijan tried to create an event to restore its image. It did something similar when it organised the Eurovision competition three years ago. In any case, Azerbaijan was the only candidate to organise the Games. There was no competition. The competition depends on the Olympic Games, and even uses the same logo. But the IOC has said “We are not responsible for this issue, it needs to be taken up with the European Committee.” It’s too easy! We are calling on the IOC to put pressure on the EOC, to make it understand how complicit it is, through its highly inattentive attitude to the seriousness of the situation. 5. You mentioned all the European Heads of State who will be there. Is this a big event? The best European athletes will not be there for the swimming and athletics events, as they have bigger competitions afterwards. These games are like the Asian or Pan-American games. But there will still be a strong media presence, and Azerbaijan will put a lot of effort into their games. It has of course invited the officials from all 50 countries, the presidents, the sports ministers, the foreign affairs ministers etc. We don’t know whether Mr Hollande, Mr Fabius or Mr Kanner, (Minister of the City, of Youth and of Sports, Ed. Note) or Mr Braillard (his secretary of State for sports) will decide to go. But we will put pressure on them to not go. 6. What is your ultimatum? The opening ceremony of on 12 June 2015. They have until 11 June 2015 at midnight to free these people. If they do not, we will blame the European officials who dare go to the opening ceremony or any of the Games’ events in these conditions. 7. 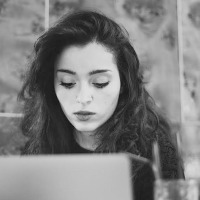 How do you actually work on a day-to-day basis? We carry out lobbying work on the relevant decision-makers. We call them, we go to see them, we ask for meetings. We regularly send them information so they realise the seriousness of the situation. And HRW broadcasts press releases and videos, communication tools for the general public, firstly aimed at the media. These are our ‘sound boxes’ for exercising influence on policies. 8. You have been working on this project for months. Have you noticed any progress? No much so far. No one has come forward. The politicians are waiting to see how the situation will evolve. They want to see what they stand to win or lose by siding with Azerbaijan or the NGOs. In these kinds of situation, interests are unfortunately more important than questions of principle. 9. What could a country lose by speaking out against Azerbaijan? It could lose major contracts. Azerbaijan is rich in oil, and as Russia is currently difficult to manage, Azerbaijan is the main supply route from the region to the rest of Europe. Azerbaijan is the region’s richest State, it’s the Qatar of Caucasia. There are lots of markets and companies that do business over there. And all of that could be threatened, as Azerbaijan can sanction entities it sees as too interested in its domestic situation. 10. Let’s say I’m a Clique reader, wondering how I can react as a French citizen. What do you suggest? There are sure to be petitions you can sign, I think Amnesty International has already launched one. Amnesty is better equipped for leading campaigns with the general public than HRW. We all work together, with Amnesty, the International Human Rights Federation, Reporters without borders etc. Everyone has seen this opportunity to put pressure on Azerbaijan, so we’re working closely together. As a citizen, you can write to your deputies, ask what they plan to say to our political authorities and ministers, and ask what their stance will be. You can also write to your media companies to tell them to cover the issue. And on social networks, sharing Facebook links, tweeting and retweeting all the videos from NGOs. These are excellent tools for awareness and mobilisation. What is for sure, is that there is certainly enough to make people act. There’s a little lesson in lobbying for you (laughs). 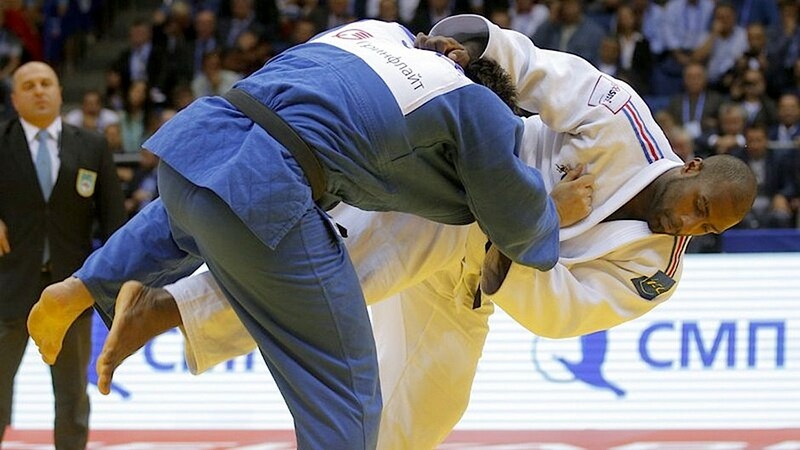 Front page Photograph: Teddy Riner, one of the members of the French judo team for the Baku Games.